Kenny Angel, whose company maintains many cell site landscaping needs, was at home when it was swept away when the Spencer Dam burst. The recent flooding in Nebraska caused by snow melt, ice jams and rain is being seen as the most destructive event ever seen and roads have been washed away as well as bridges, a dam, and it has buried houses, some up to their roofs. Sadly, the historic catastrophic flooding is expected to continue across parts of the Missouri and Mississippi River Basins today, making it more difficult for the family of a business owner who was swept away last week after a the Spencer Dam burst in Niobrara. Kenny Angel was home alone when the dam failed, his brother Scott Angel said. His wife, Linda, was in Colorado visiting her mother and their four boys. The couple owned a business maintaining the grounds around numerous cell towers. Angel’s home and every home in the valley disappeared, Scott said. As thousands were watching on national media the devastation of at least 89 cities this week, management at wireless industry rigging and safety supplier Midwest Unlimited of Lincoln, jumped into action to assist residents and businesses. Whereas big box stores will unload emergency supplies at retail cost, Midwest has let communities know that they will sell at dealer cost all of their pumps, hoses and generators to anyone affected by the flooding. 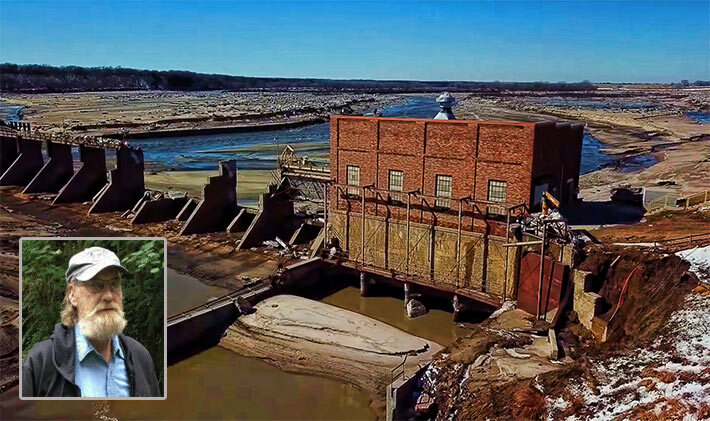 The destruction’s financial impact could be up to $1.3 billion, according to Nebraska Governor Pete Ricketts. While rivers are receding – although that could change with today’s rain – across parts of Nebraska, Wisconsin and Iowa, water draining downstream is causing the Missouri River to rise across northeastern Kansas and Missouri, AccuWeather reported. “We continue to work around the clock to ensure our customers and first responders stay connected. Our Network Disaster Recovery (NDR) team, in collaboration with the FirstNet team at AT&T, is staged and ready to deploy network recovery equipment and mobile cell towers to provide service to affected areas,” the carrier said in a statement.